A new live arena show inspired by “Jurassic World” is now in development for 2019. A new live-touring show inspired by the film “Jurassic World” is now in development, under the collaboration of Feld Entertainment and Universal Brand Development. Feld will create the concept, produce and tour the arena show, which is set to debut in fall 2019 in the U.S. The show will be a multi-year tour and travel globally, and will feature a herd of life-size dinosaurs that extend up to 40-feet long. Through projection mapping, audiences will be transported right to Isla Nublar, and along with animatronics and performer-operated characters, the dinosaurs will truly be the biggest stars of the show as its story is told through dinosaur and human interactions. “Fans around the world continue to tell us they want more ways to experience ‘Jurassic World,’ and the thrilling action and larger-than-life experience of this live arena tour gives them the opportunity to engage in an all-new and exciting way,” said Vince Klaseus, President of Universal Brand Development. “Jurassic World” was the fourth-biggest film release of all time, and its sequel, “Jurassic World: Fallen Kingdom,” will arrive in theaters on June 22, 2018. To bring the thrills that exist in the films to life, Feld Entertainment will break down the traditional arena barriers that stand between the audience and the action onstage. Fans will get to experience the thrills, wonder and terror of “Jurassic World” up close with this new show. Feld Entertainment will craft and rehearse the show at their studios in Florida, which is comprised of more than 580,000 square feet, with a dedicated rehearsal space and on-site fabrication and design shops. 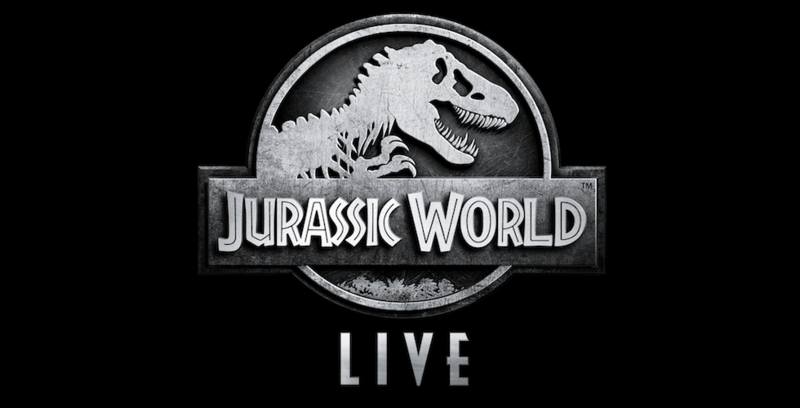 For more information on the upcoming live show, visit live.JurassicWorld.com.